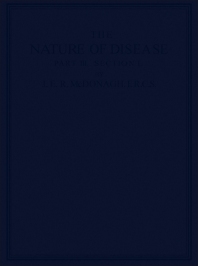 The Nature of Disease, Part III deals with mal-coordination and disease, disease and the nervous systems, and chronic intestinal intoxication. This book discusses the signs and symptoms of disease which is the result of the body's failure to resist infection. The author sees that dehydration is the prevailing abnormal chemico-physical change in the acute stage of disease attack; hydration in the chronic stage. He notes that these two phenomena occur when protein particles in the plasma in disease undergo either a dehydration or hydration process. The author also reviews F.M. Alexander's work on the conscious control of the individual, through psycho-physical mechanism, as a whole body, instead of being reflected in certain anatomical part such as the kidneys, liver, or skin. The author examines the interrelationships between mal-coordination and the nervous system. Such mal-coordination results in chronic intestinal intoxication on nervous manifestations; the author then demonstrates how nerve tissues are damaged by abnormal protein particles in the plasma. The author cites several cases of mal-coordination concerning the nervous system, the vegetative nervous system and the alimentary tract, as well as the role played by a chronic intestinal intoxication in the invasion of the nervous system by micro-organisms. This book can prove informative for cellular biologists, researchers in micro-chemistry or neuro-biology, and doctors in general practice.